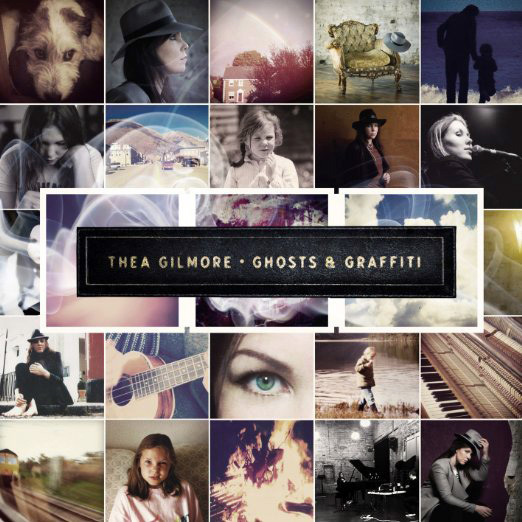 Much as Gilmore is respected as a singer songwriter, she left us a little unmoved. She’s respected in the folk world but she passed us by, at least until her last album Regardless which was packed full of sparkling pop tunes and deserved to do better than it did (which was #39 in the charts, according to Wikipedia). This new album is a sort of hits package, a 20-track double album (though we’ve got a single disc in a slipcase) that includes all her most popular tunes on one record for the first time, plus four new songs and six newly-recorded versions of songs from her back catalogue. We’d guess the star guests are on the re-made songs: Joan Baez, Billy Bragg, The Waterboys, John Cooper Clarke, plus Joan As Policewoman, John Bramwell (I Am Kloot) and King Creosote. Neil Gaiman, the fantasy novelist, contributes sleeve notes, though we don’t have them. Even though she’s left us unmoved for 1.5 decades (she’s been singin’ for 17 years, we’ve been reviewin’ for 15) we have to concede that all the songs on here are impressive, albeit they’ve been re-made with the benefit of her experience. We thought the last album sparkled but there’s a few diamonds on here, too, and some great one liners (“…. old mother morphine to take me away”). Opener Copper is a pleasant tune with strumming guitar while Start As We Mean To Go On (second track, ho ho) is a punchy pop tune that’s a bit Del Amitri. The next track features the first guest, the equally punchy The Girl Is Taking Bets seeing Joan (Policewoman) Wasser providing vocals and piano. Holding Your Hand, a haunting ballad, is followed by William Bragg on My Voice. It’s all good, though with 20 tracks on one CD instead of the double CD you’d buy, it’s a bit long for one listen. Standouts include the semi-religious Sol Invictus and Razor Valentine, with I Am Kloot and some fat, sorry, phat, sax. The 20 tracks mean this is a good starting place: for those who don’t know, Gilmore is married to a lad from Sandbach and used to be managed by a woman from Brereton. Older fans will enjoy the updated favourites and the guest stars.